This luxurious Private Hotel Villa is located in Seminyak with all the concierge services of a larger hotel. 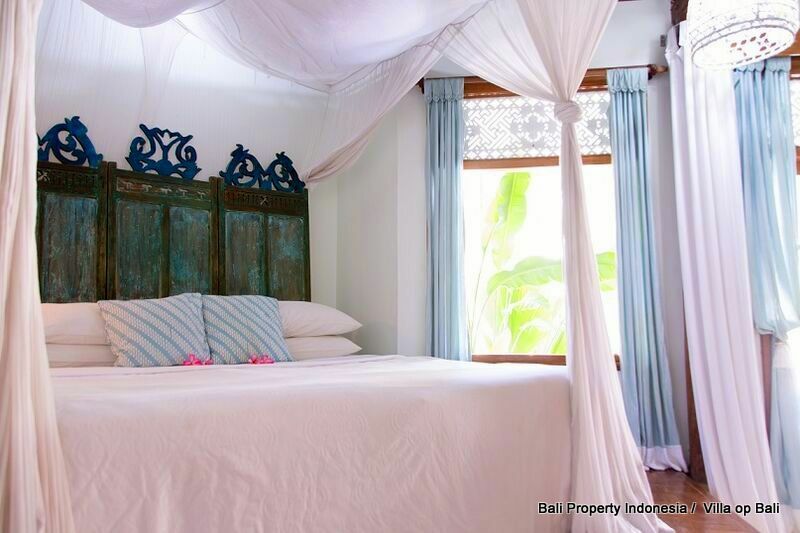 This luxurious Private Hotel Villa is located in Seminyak with all the concierge services of a larger hotel, with 2 bedrooms, and 3 large bedroom suites, all with en-suite bathrooms, accommodating up to 13 guests at a time. 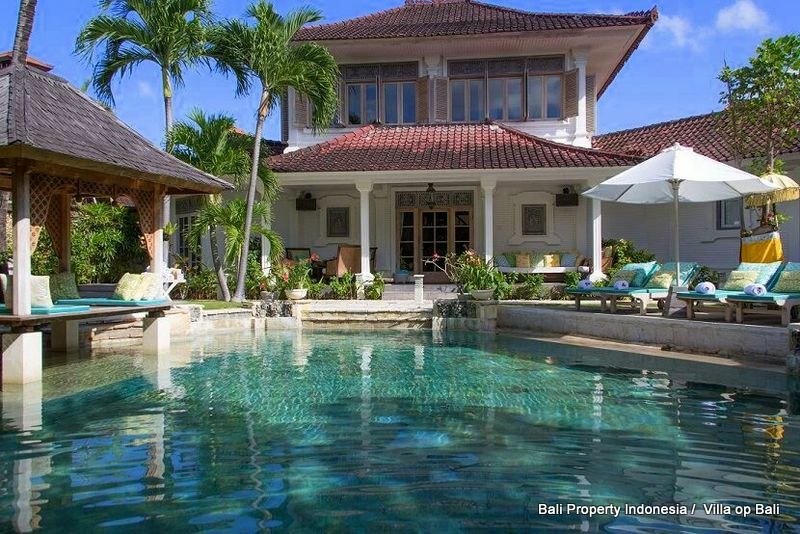 To obtain as a business or make it your own private villa. 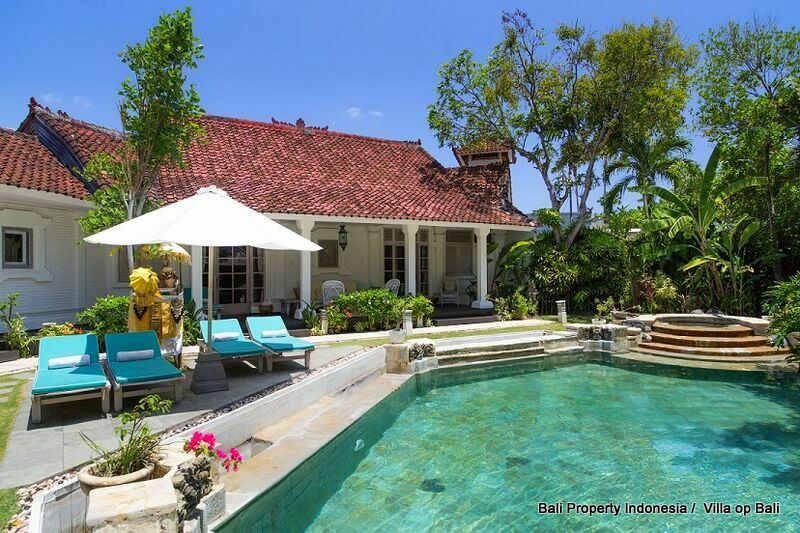 This colonial style villa is located in center Seminyak and is on offer for sale with a leasehold contract until 01-01-2032, that why we offer this beautiful villa as a business / commercial property so you can make a solid return on investment. 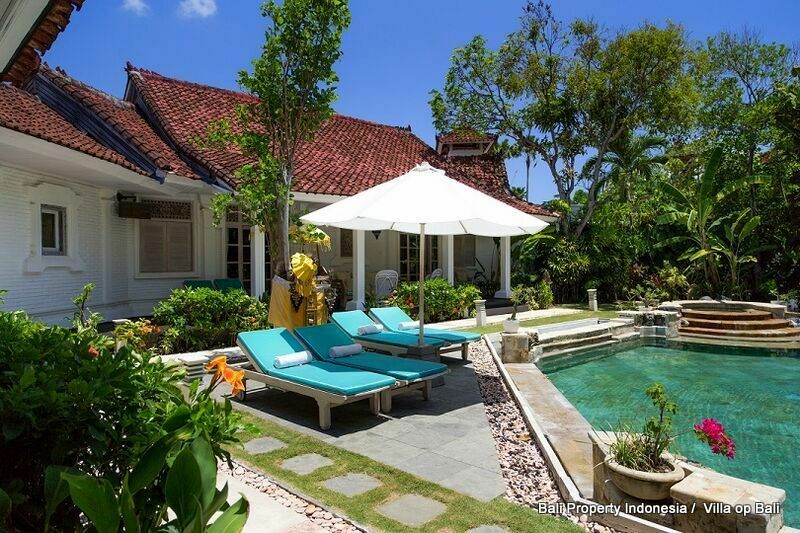 This Seminyak villa consists of various buildings, connected to each other. 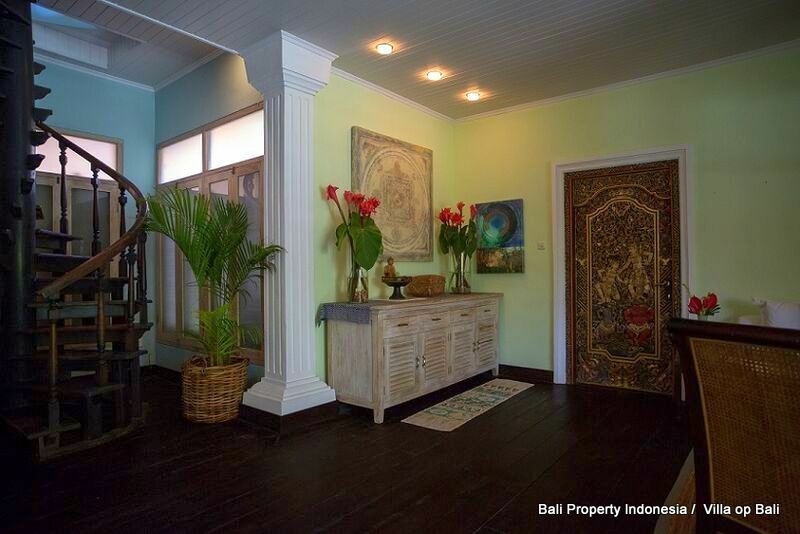 First of all, you will enter the property through a beautiful carved gate. 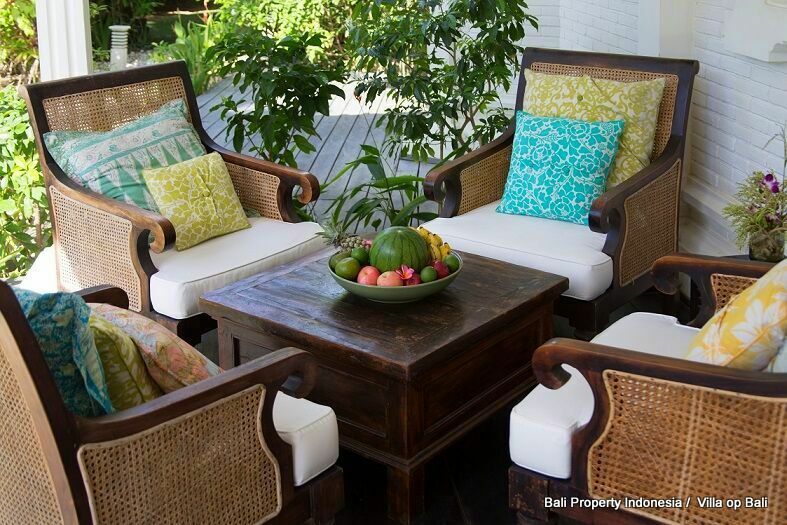 After entering, an oasis of tropical plants will overwhelm you. To the left is the main building. 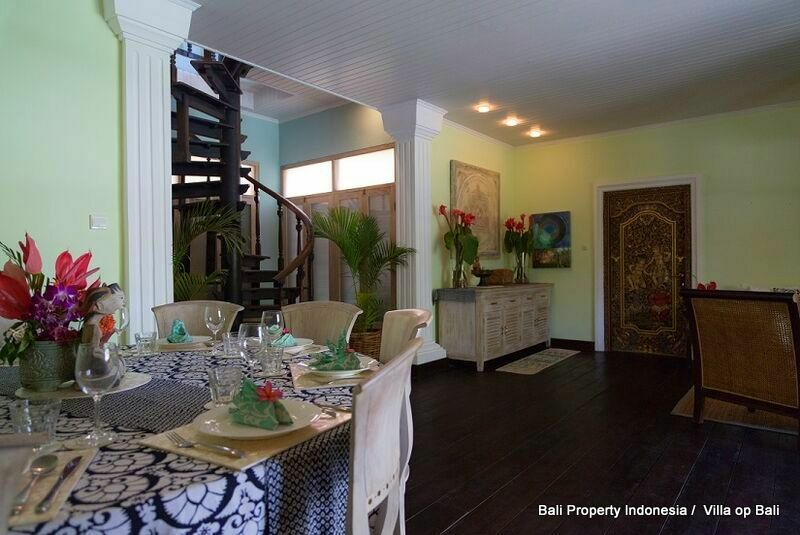 Here, you will find on the ground floor a large living with dining area. A great place to have your dinner buffet on a rainy day. Next to this living room is the kitchen. 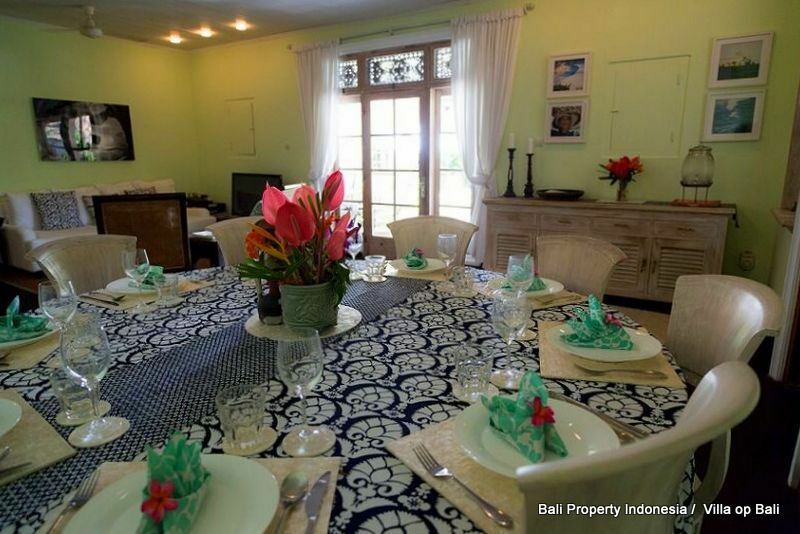 A space where several cooks can prepare delicious meals. On the other side of the living room is a guest bathroom. 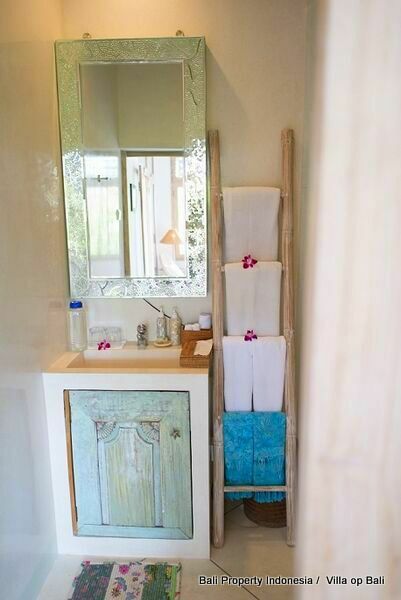 Not a simple bathroom but a place which can also be used as an indoor massage or spa. 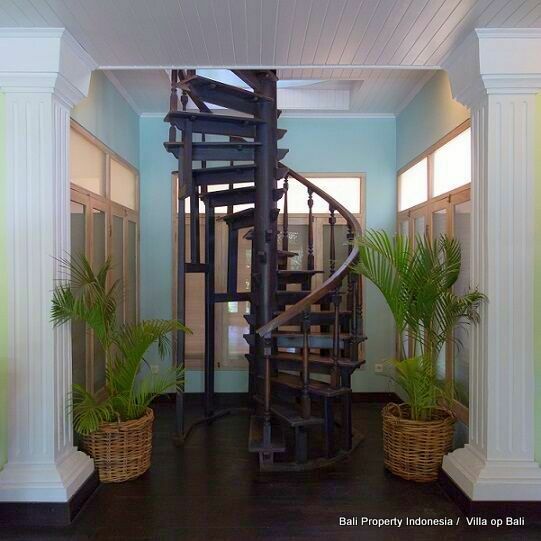 A monumental wooden stairs leads to the first floor. 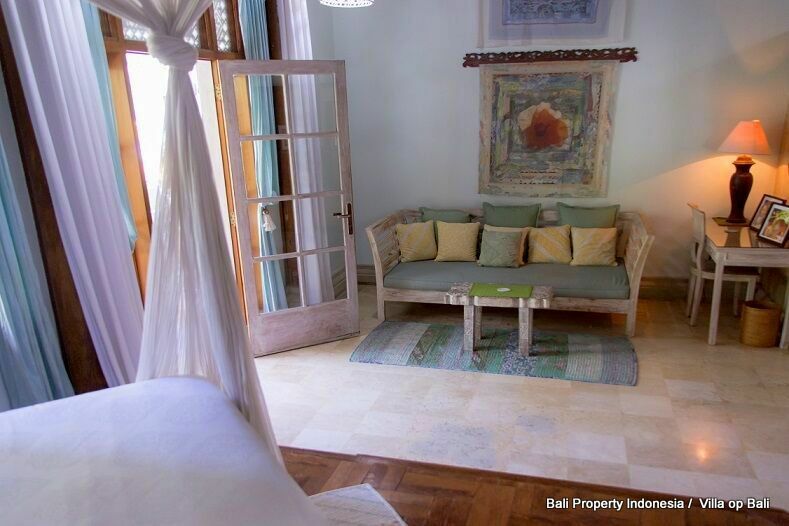 On this floor you will find 2 bedrooms. 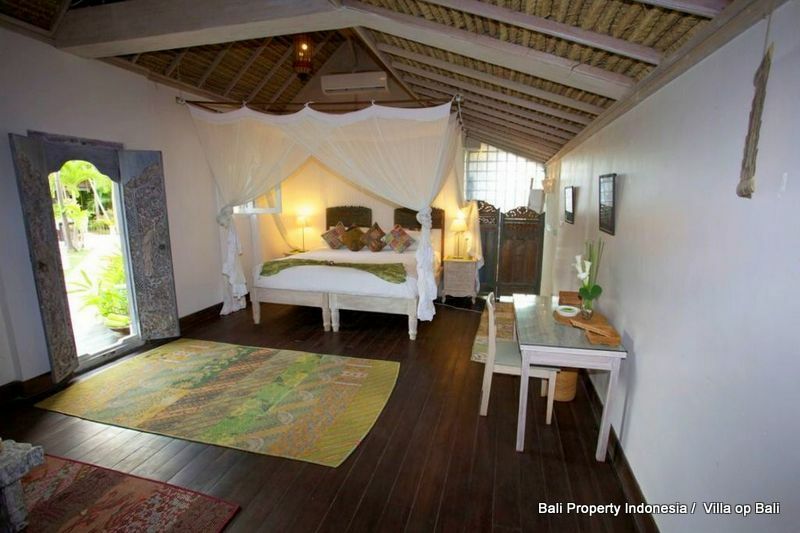 Each of this room is having its en-suite bathroom and is overlooking the garden. 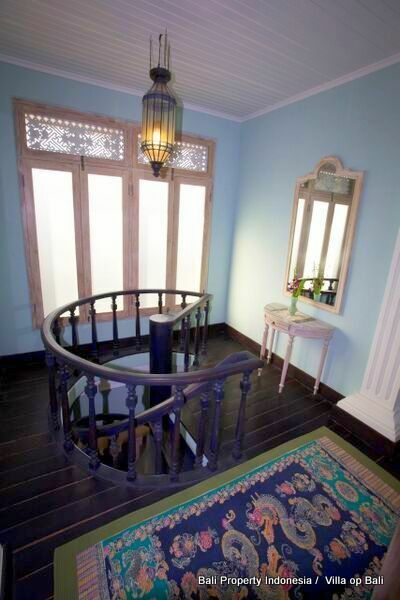 The rooms are well decorated, finished with wooden floors and warm colors painted walls. 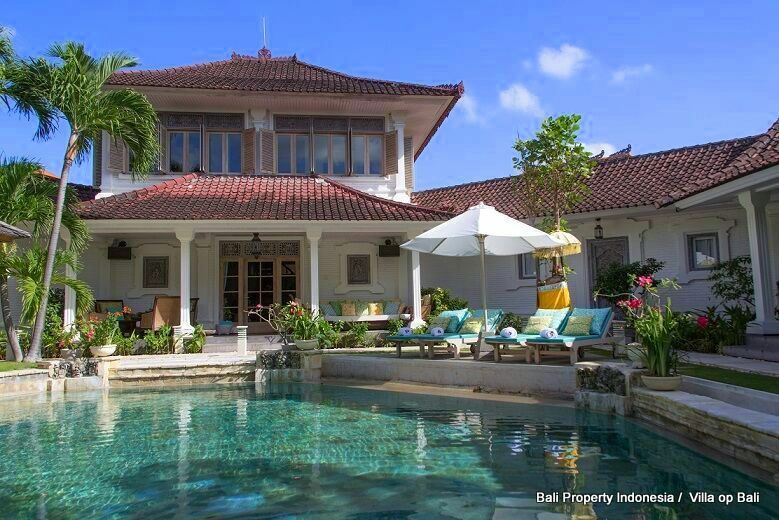 Next to this main building are 3 extra bedrooms. 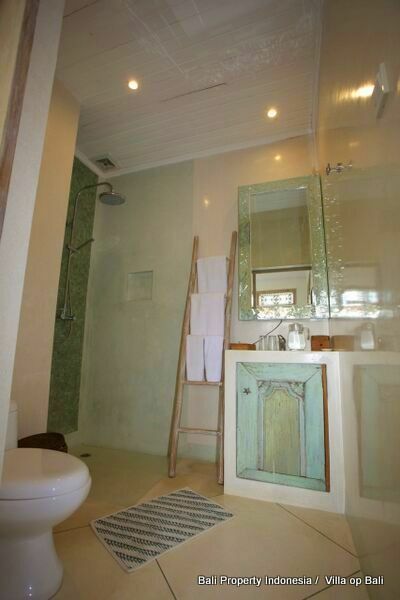 These bedrooms are also nice decorated and are having of course their own bathrooms. 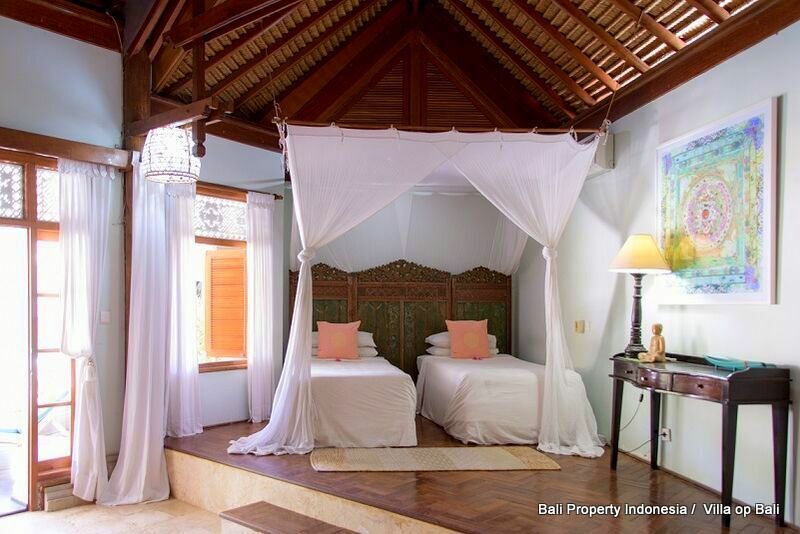 These bedrooms are finished with Alang Alang roofs, giving the rooms their tropical atmosphere. 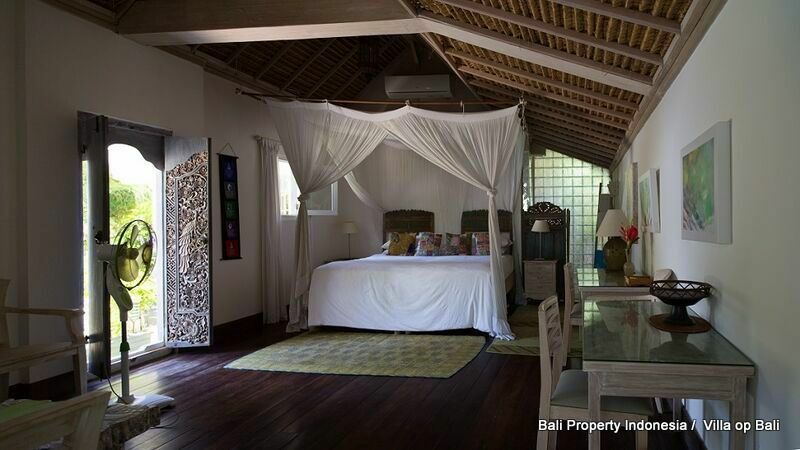 What makes this Seminyak dream villa so special………the many covered terraces in an old colonial style. Nice comfortable seats offers the chance to lounge here even on rainy days. View from these terraces are towards the garden. 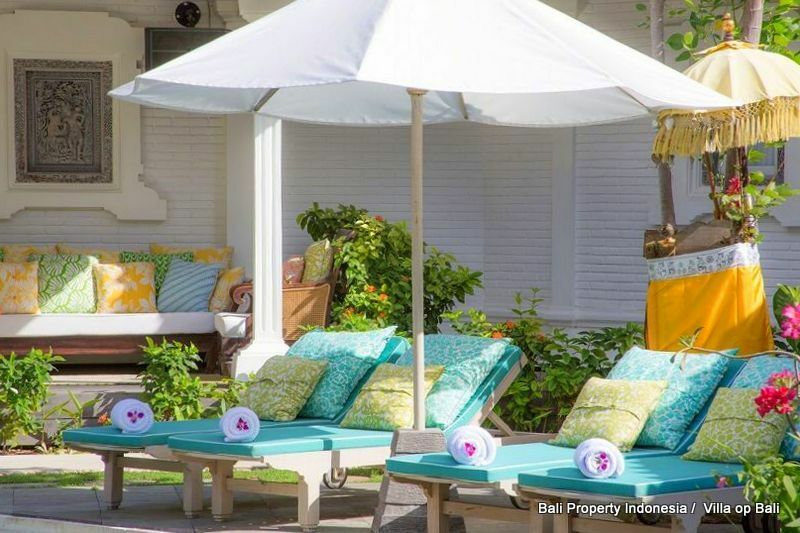 Due to the high plants, you will not see so many other surrounding buildings in the immediately neighborhood, giving you the impression that you are living far away from the busy nightlife in center Seminyak. The location is a top location. 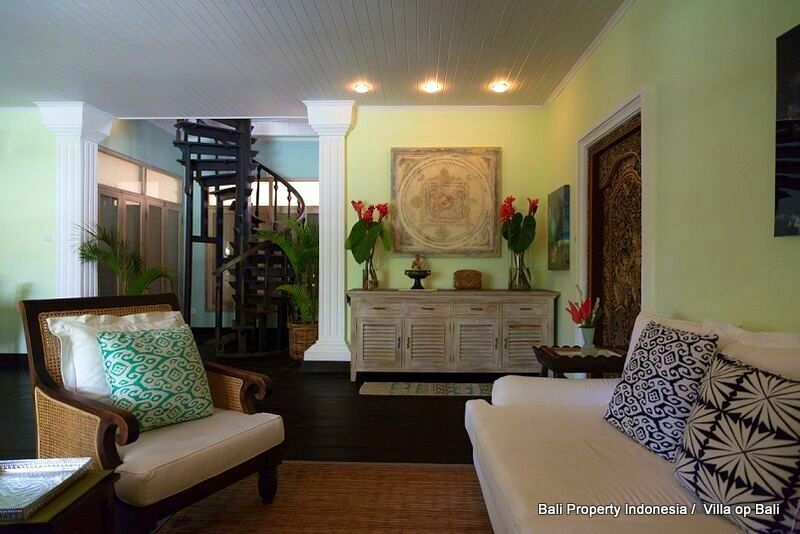 Situated between the Seminyak square and Seminyak beach. Both can be reached within minutes walking from the villa. 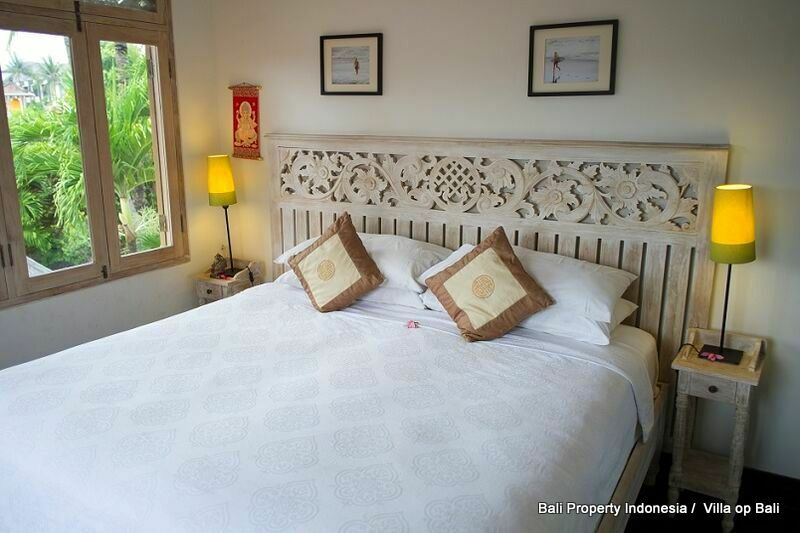 With Kudeta at walking distance and many restaurants in the nearby area. 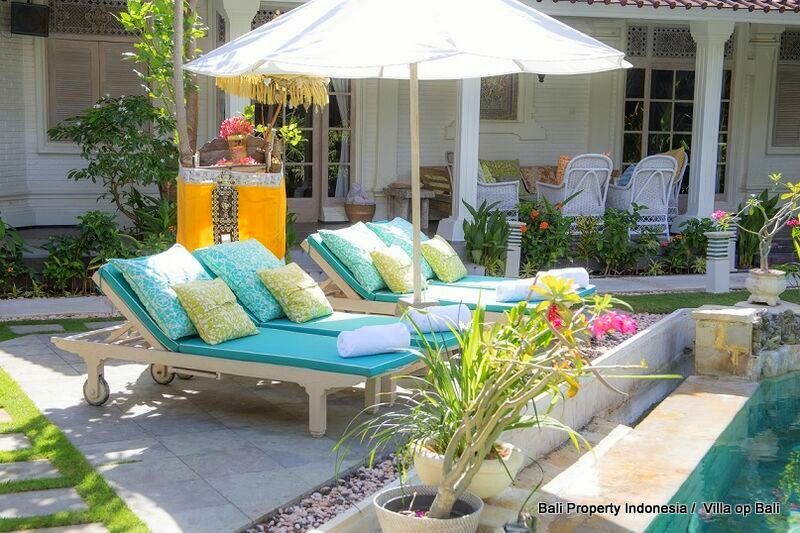 Still, although you are in the heart of Seminyak, you are located in a quiet area. Traffic noise is hardly to be heard. 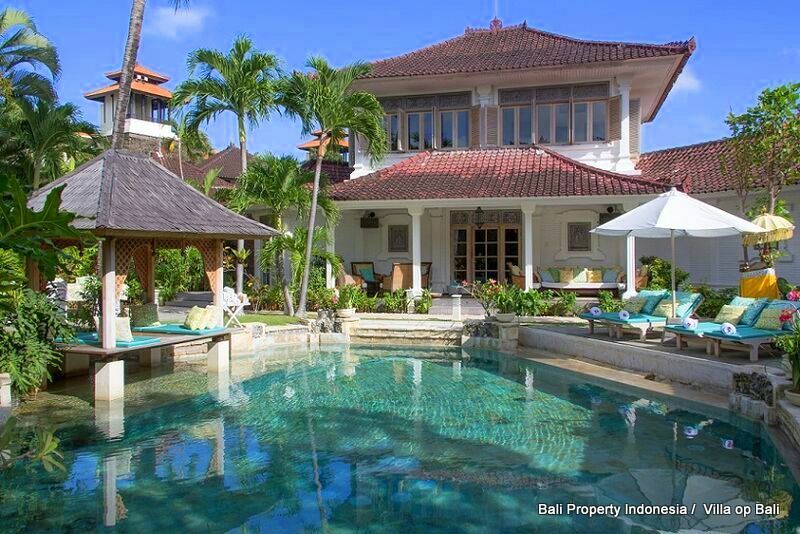 This all makes this villa complete. 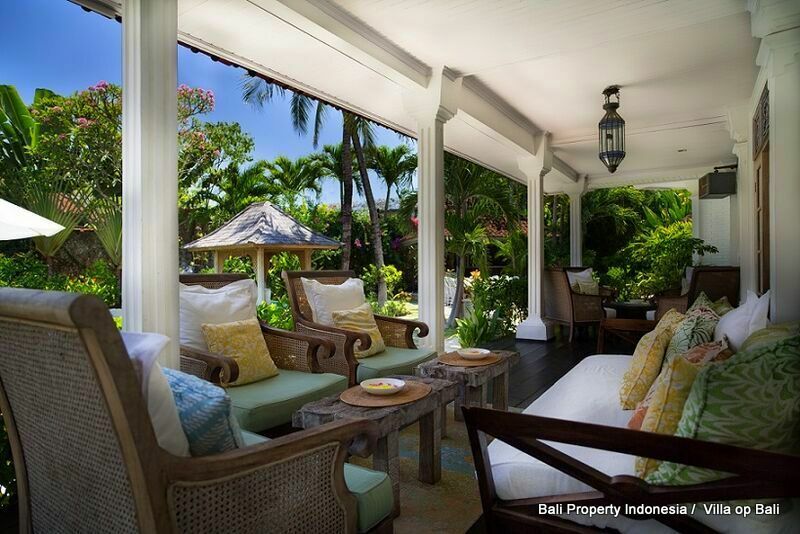 A beautiful styled villa on one of the best spots in Bali. The purchase price of this Private Hotel Villa is on request. 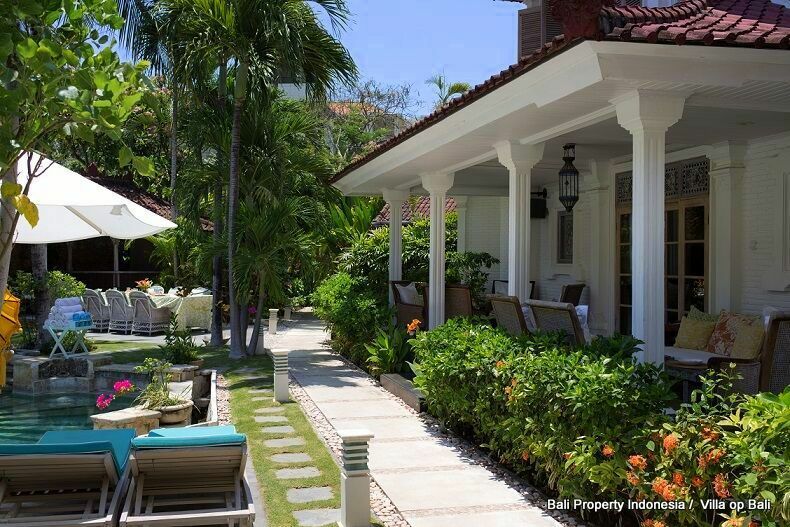 However to give you an indication, the price can be found in the range between USD 1.000.000 and USD 2.000.000. 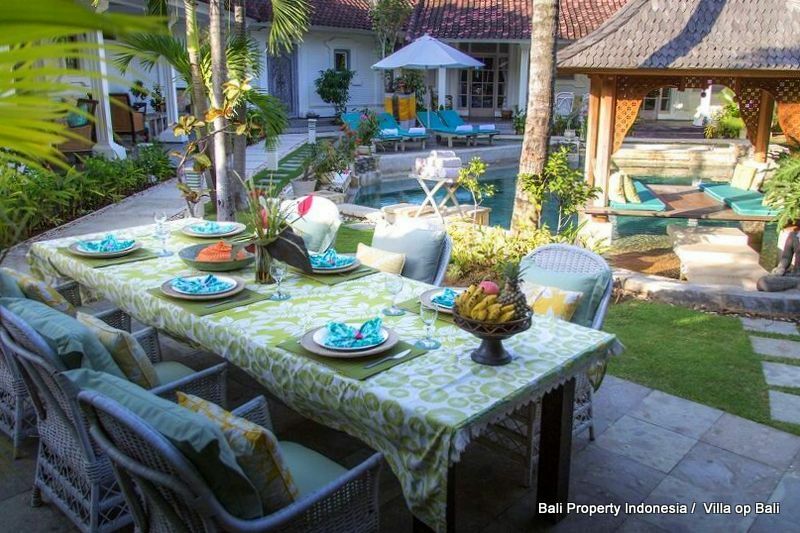 The villa comes with a leasehold contract which is ending at 1 January 2032. The current owners are having a good relationship with the landlord and this landlord is willing to talk about an extension of the lease period. 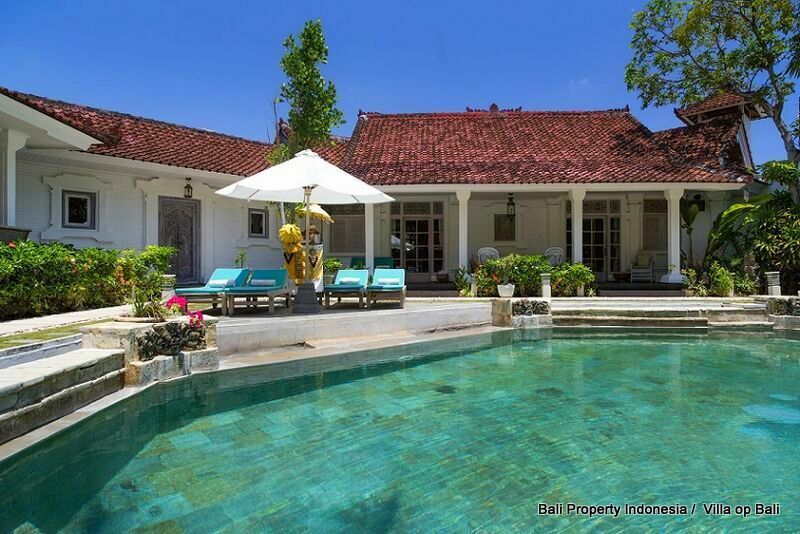 The villa is of course provided with a rental license, a Pondok Wisata. A high and proven occupancy rate makes it possible to earn your investment back within 7 or 8 years. 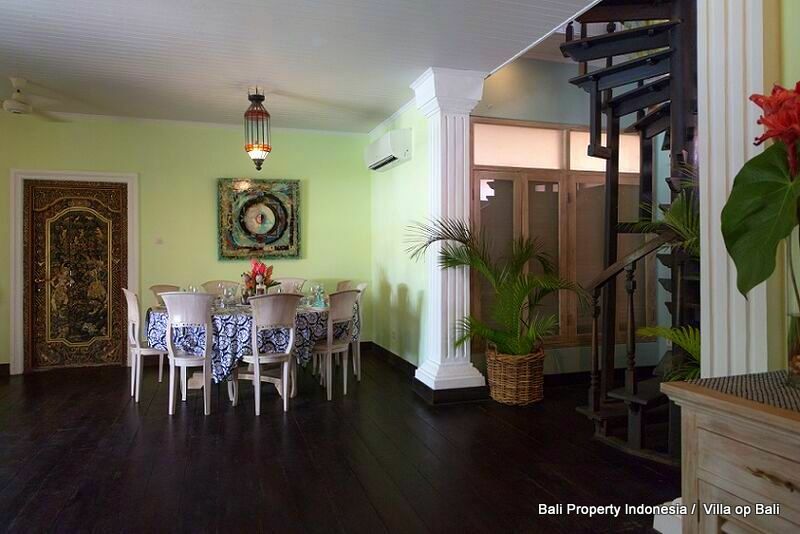 You are looking for a good business opportunity and ready to start………..Contact us and we will be pleased to tell you more about this Seminyak colonial style private Hotel Villa.